Right now, it’s just an empty plot of land and construction equipment with the Washington Memorial towering above it. But now there’s a chance for the world to peek over the tall wooden fence, to see history being constructed in the form of the Martin Luther King Jr. Memorial. 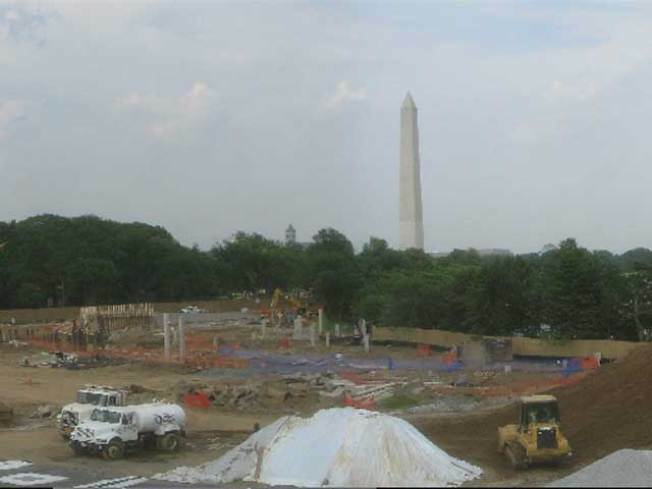 The organization building the memorial now has a webcam on its site to show daily construction along the Tidal Basin. So far, there’s a giant crane in place to handle the 28-foot sculpture of the late civil rights leader. First, however, crews will have to deliver 340 concrete piles to construct the granite memorial plaza and statue. The statue was created in China and crews will deliver them in pieces to the site. The sculptor, Lei Yixin, will assemble the pieces this fall. The project is scheduled to be completed next year. So far, organizers have $107 million of the $120 million needed for the project.